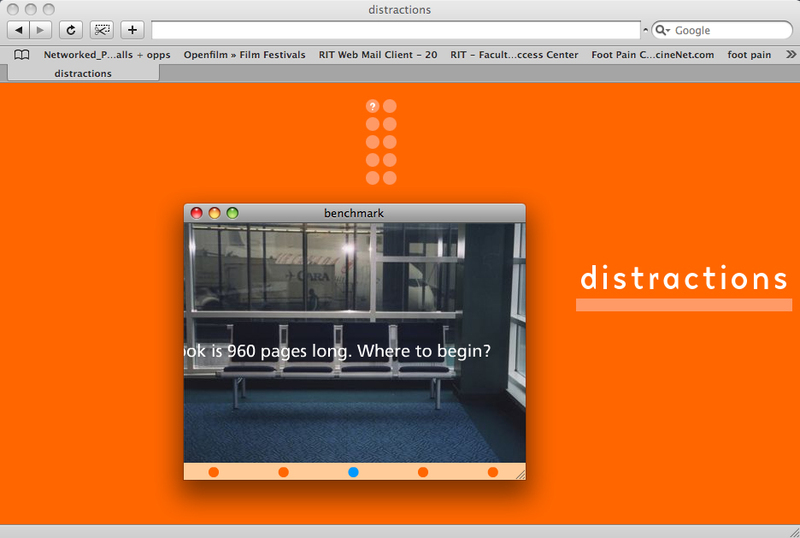 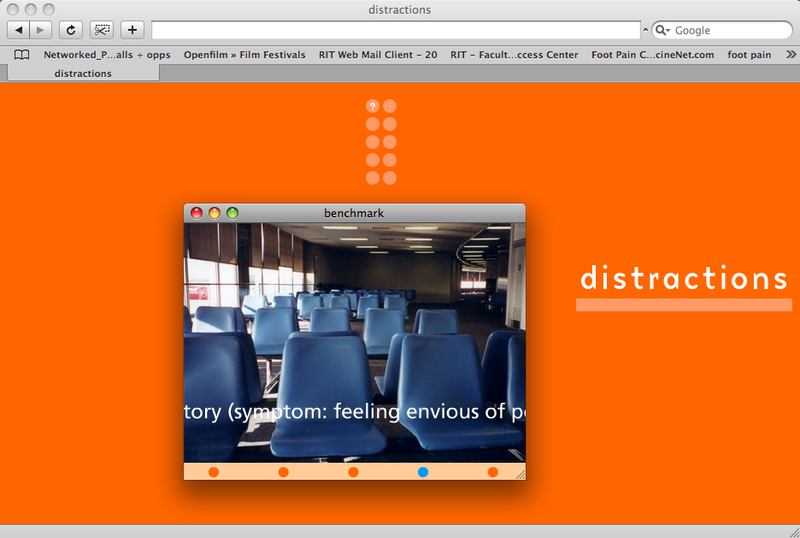 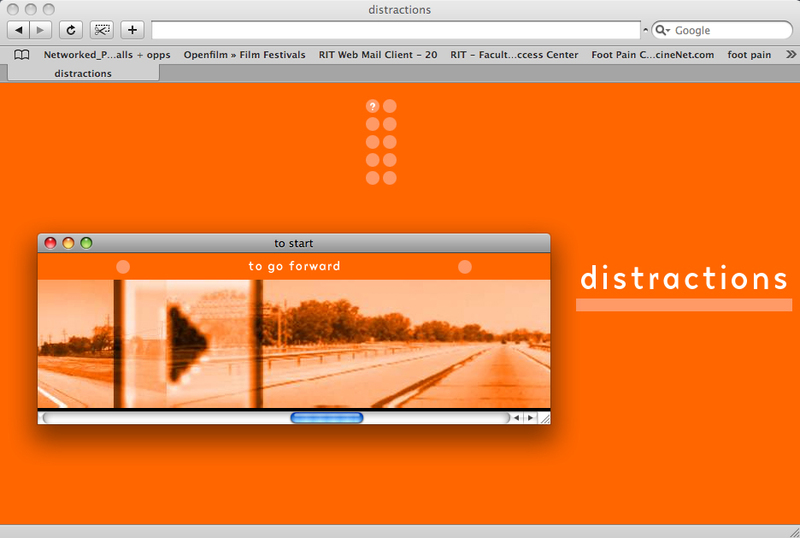 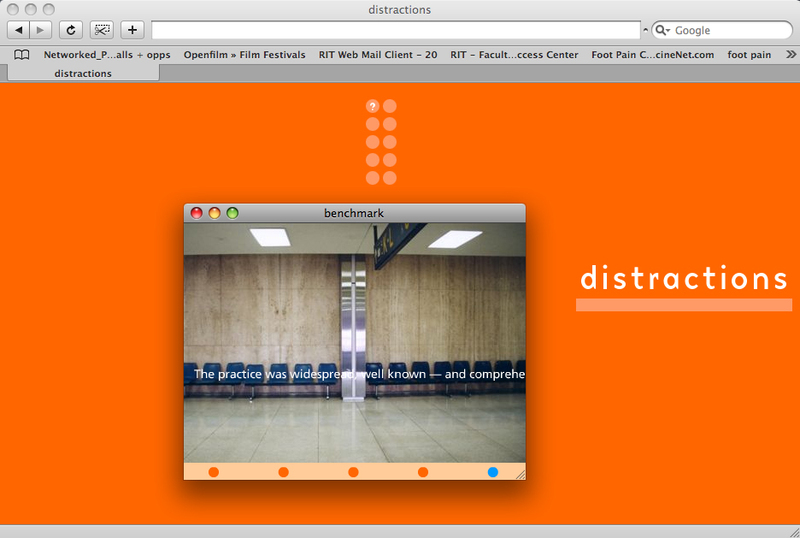 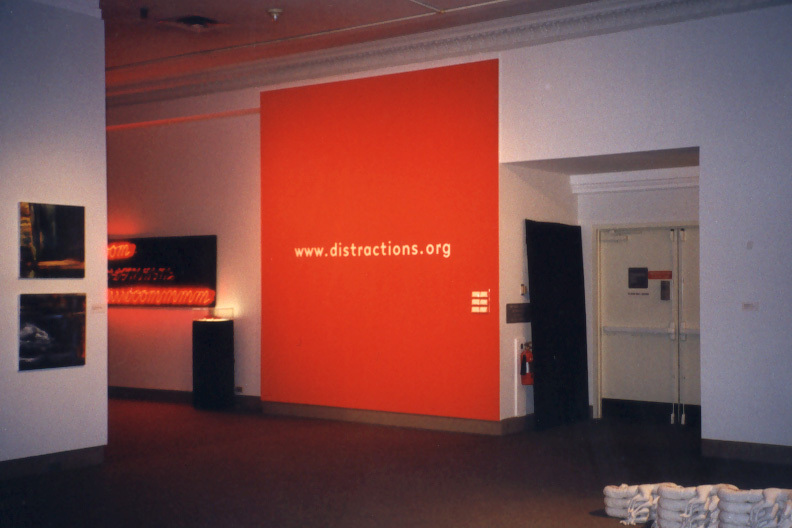 www.distractions.org was a Web based experimental project designed, developed and produced during the exhibition Beginning a New Century: Emerging Artists in Western New York at The Burchfield-Penney Art Center, Buffalo, New York, December 18, 1999-February 13, 2000. 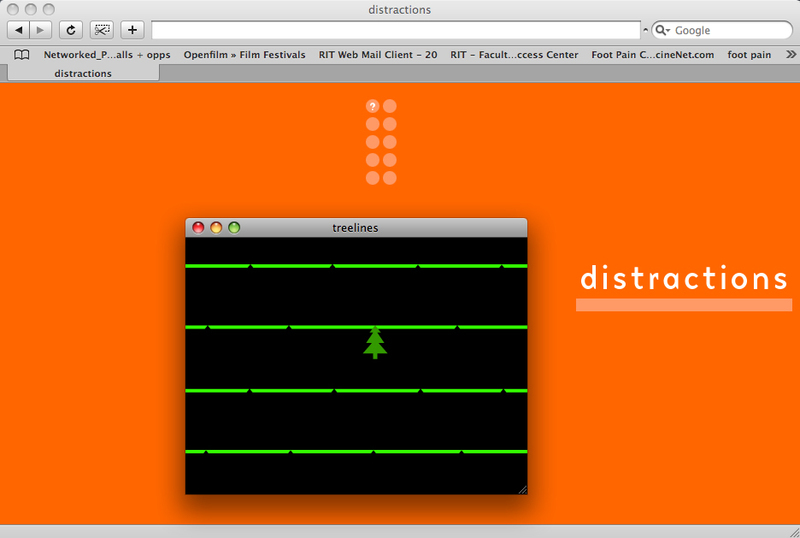 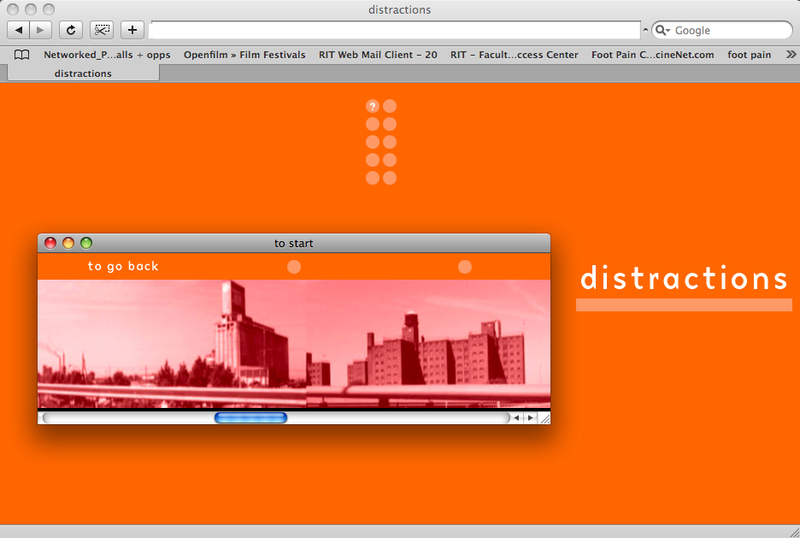 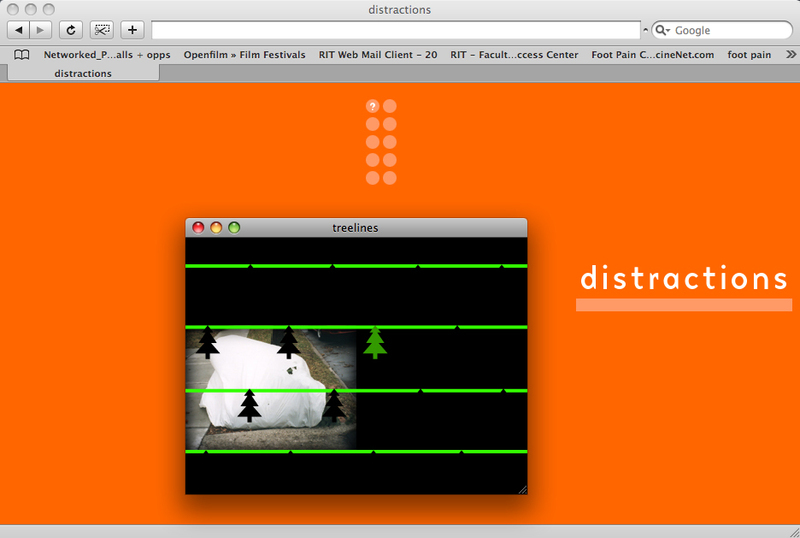 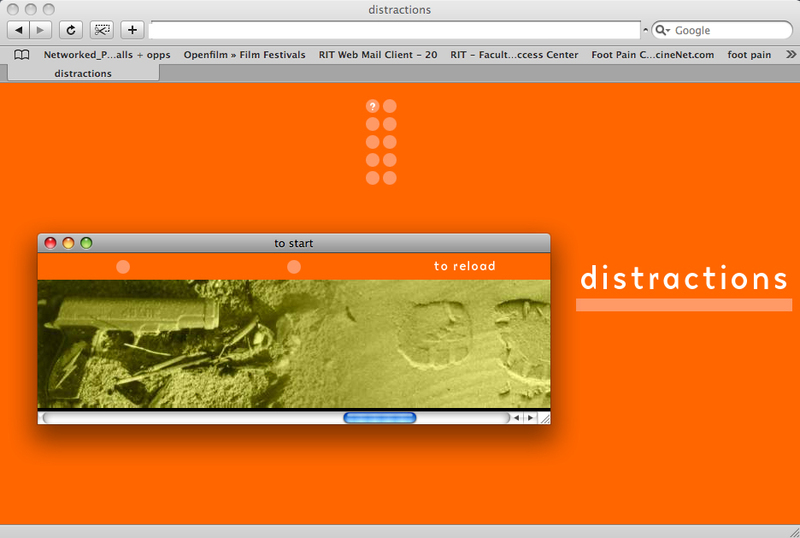 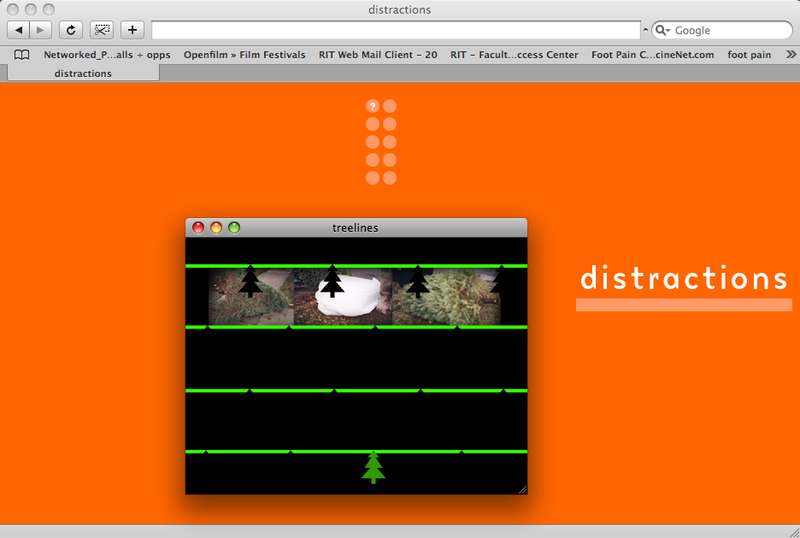 I purchased the domain name www.distractions.org and posted experimental interactive sections throughout the duration of the exhibition. 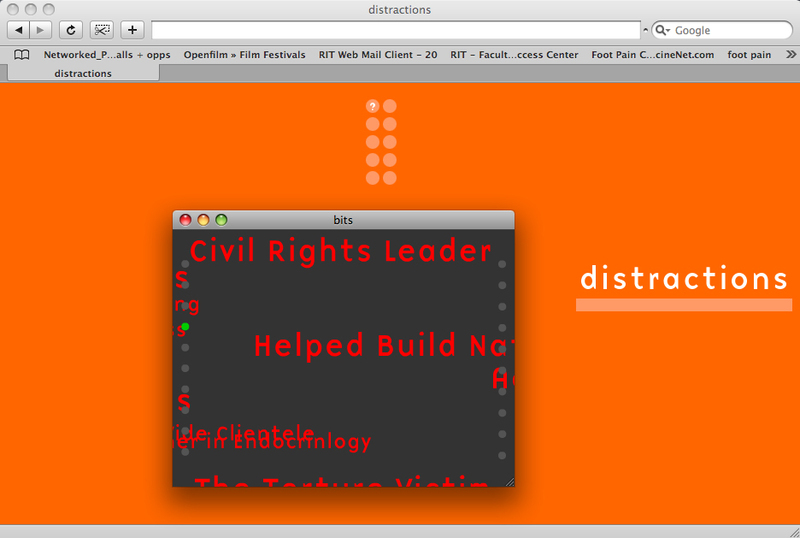 The projection was at the height of the dot com bubble.